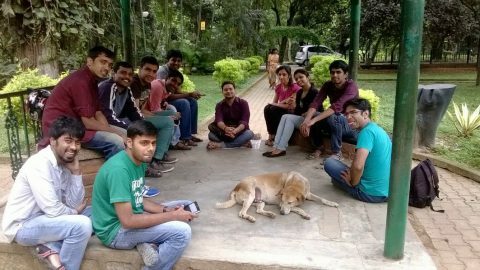 We were 13 members for the meetup. 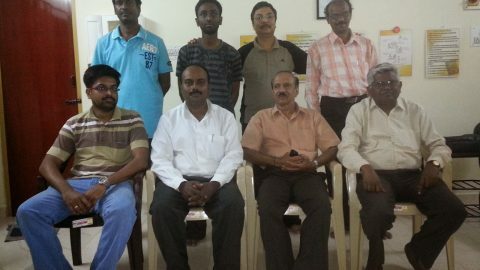 Mauzzam, Bhrama, Vishnu, Siva, Purna, Indraneel, Manikanth, Teja, Sushant, Ramesh, Ramu, Nadheem, Rajesh. We spoke about how SHGs have helped us in becoming confident. 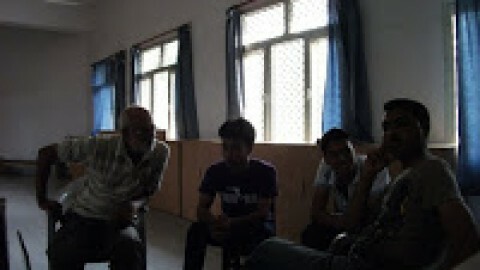 Its an interactive session where every member have tried to accept stammering in their personal experience. We had prepared speeches and self suggestions and appreciation round. We also dicussed how our feeling good factor in our speech is most important in self help. We also discussed very crucial thing on how we need to appreciate self when we come out of a block in our speech. It is very important that you appreciate your state of you coming out from a block. This will plant good memories in your mind rather than fear or consequences of stammering. Planting a good feeling whenever you are coming out of a block is very important. I have been following it and found very good results.The only thing is just appreciate your efforts that you have come out of your block. Because block will always be released at some point of time in our speech after you encounter a block and its very obvious thing to happen so use that instant of your time to plant good memories of self appreciation. There by your mind will be full of happy memories and this will help you in configuring your mindset towards stammering at ease. कार्यशाला सिखाती है जीवन जीना … ! Yes, very correct: we need to appreciate and love ourselves (not in a egoistic way though)..This becomes easy, when you accept yourself with all your strengths and so called "weaknesses".. From this point, lasting change becomes possible. You cant hope to win if you fight with your shadow, even if you fight very bravely and smartly for thousands of years.. One day you must accept : It is my shadow.. it is OK.. I have no fights with it. And nurturing happy positive memories about yourself is a part of this process.